Skin care for dry to very dry skin, with cutaneous xerosis, or subject to dermatological treatments. Due to its nourishing and restructuring action, Atoderm Cream care strengthens the skin barrier structure and inhibits the penetration of irritant agents, thanks to its Vaseline/Glycerin complex. Enriched with moisturizing agents, it conserves water in the upper layers of the epidermis, preventing evaporation. The creamy and unctuous texture provides immediate comfort for a moisturized skin all day long. 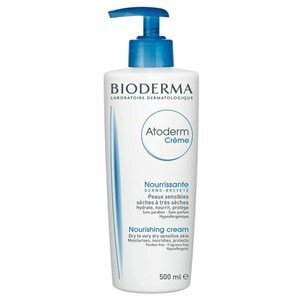 Apply Atoderm Cream care 1 to 2 times per day, on clean skin, with the Atoderm PP Moussant Gel or with Atoderm Gel Douche. 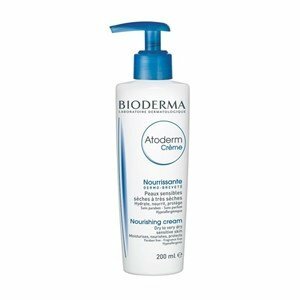 The moisturizing effect of Atoderm cream, is optimized when applied under the skin moist.